TW-101547 is a flat veneer paneled door that offers the perfect balance of simplicity and elegance. 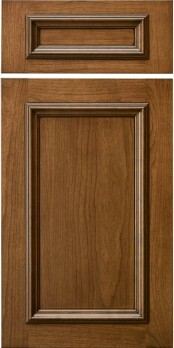 The veneered panel helps keep this door more value priced than its solid wood paneled brethren. It is important to note that the panel does sit closer to the face of the door than most of our other applied molding designs.